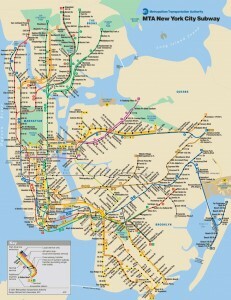 Since many mamas like to/need to get around town by subway, and some fear it because of limited elevator access, I thought I would post a couple of useful links to help you all navigate the NYC subway system with greater confidence. When I find myself at a station with no elevator or one that is out of order, people passing by are usually quite helpful when I need a hand, especially in Manhattan. There are tons of nice New Yorkers out there, sometimes, you just have to ask.